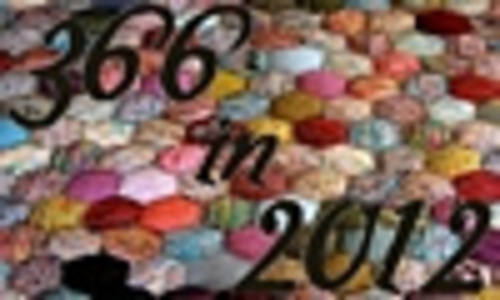 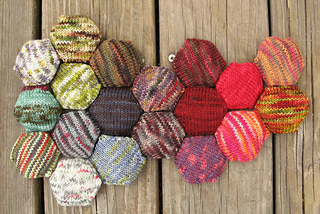 I’m declaring this project done, eeven though onlya few puffs are connected. 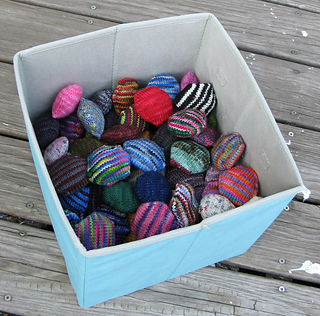 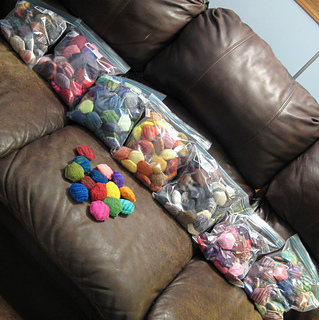 I’ve put the sorted puffs in storage, pending renewed interest. 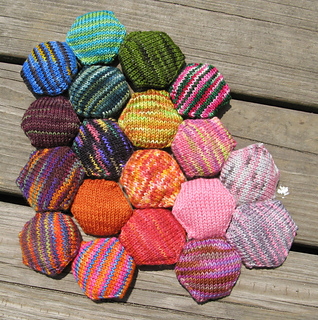 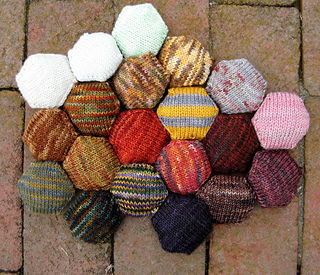 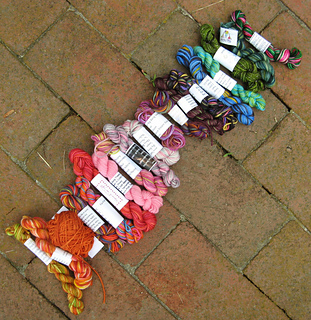 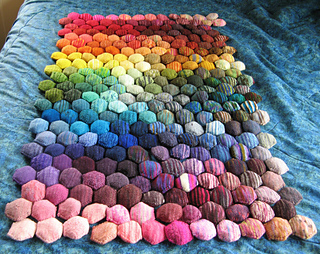 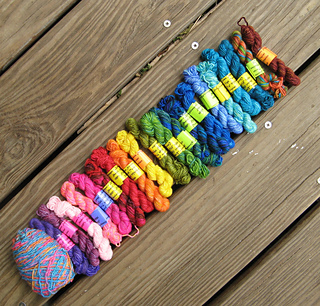 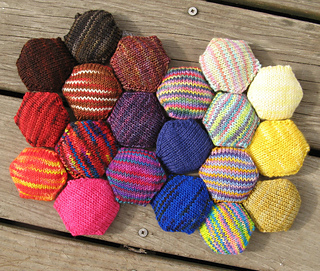 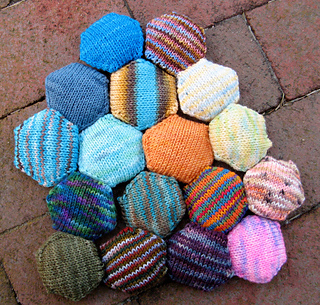 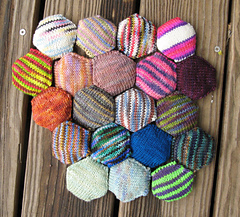 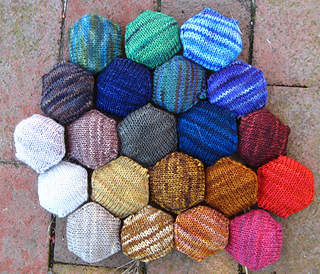 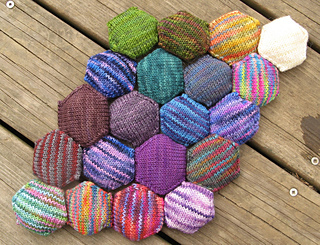 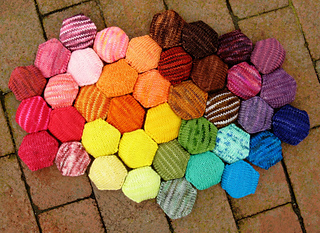 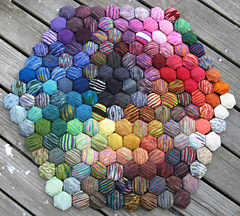 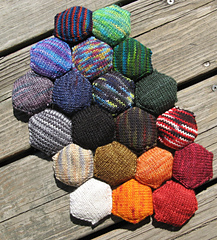 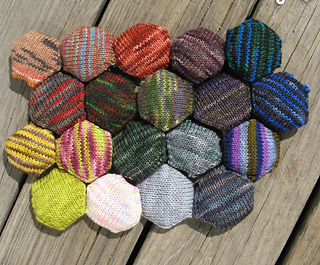 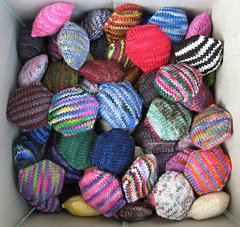 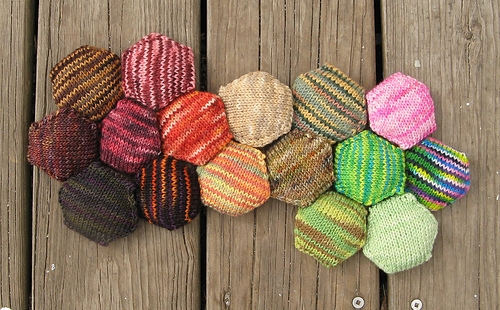 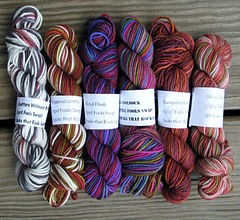 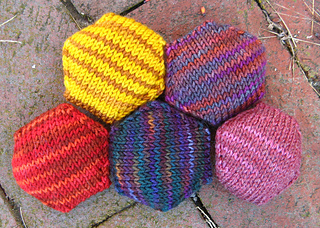 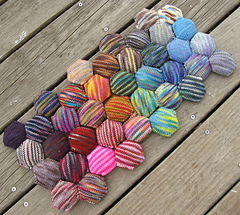 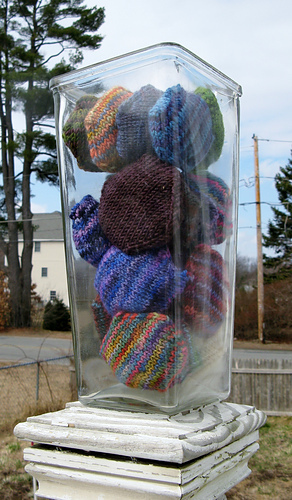 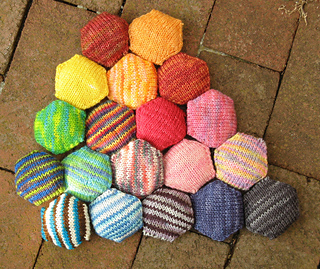 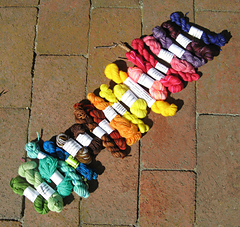 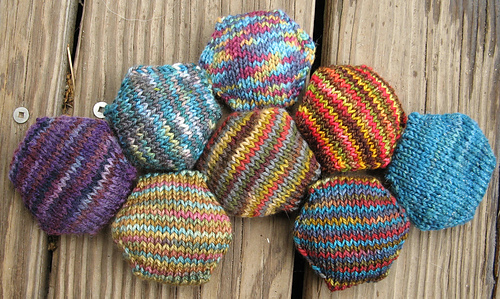 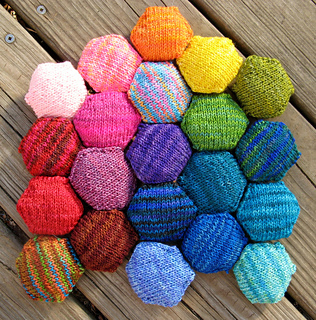 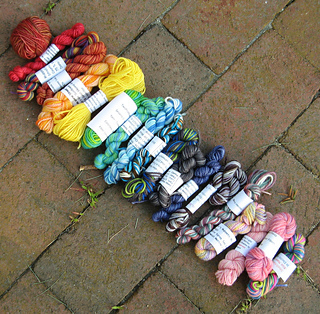 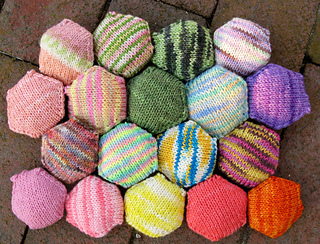 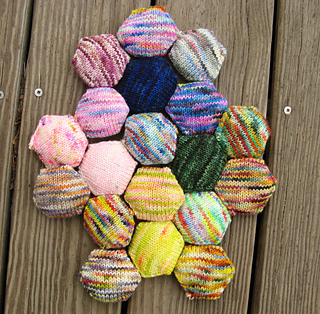 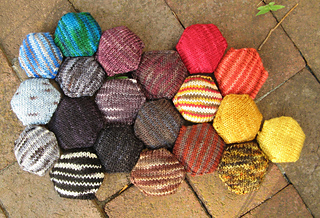 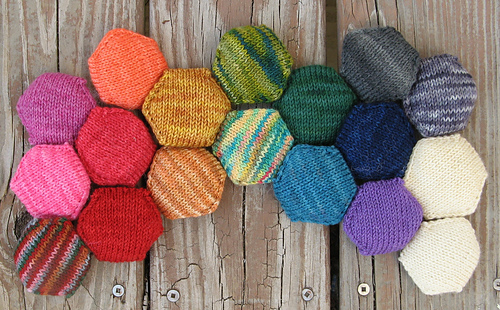 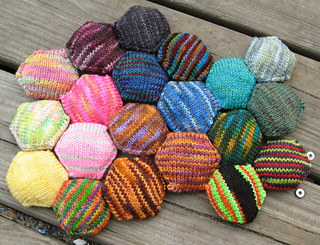 4/15/13 -- cast on my last hexipuff today! 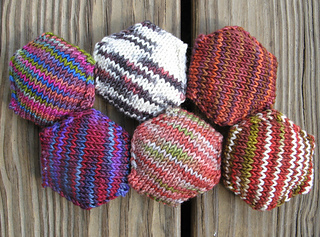 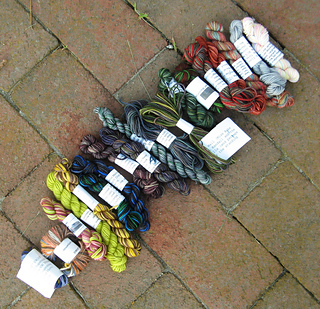 Finished the last bag on 4/9/13, and I’ve been working through a little pile of leftovers from Airs Above the Ground collection. 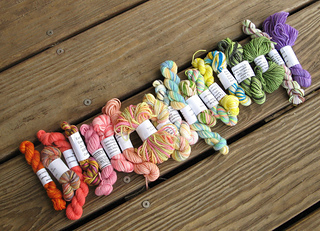 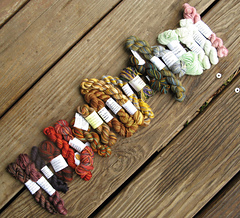 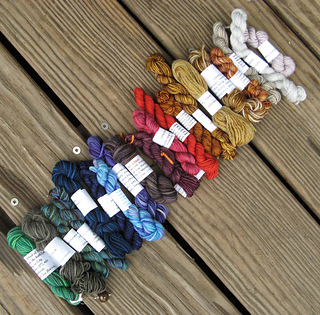 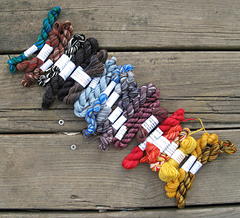 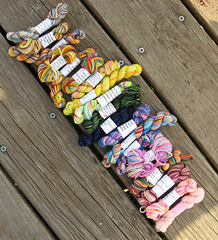 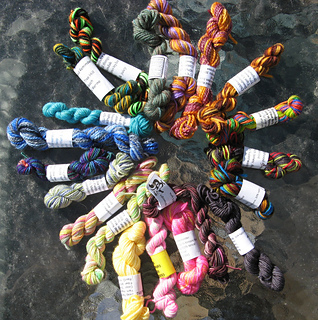 - Finish last four bags of minis by April 1st. 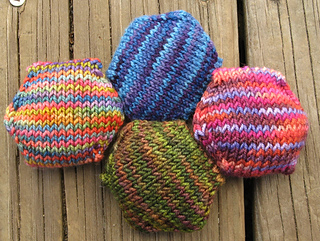 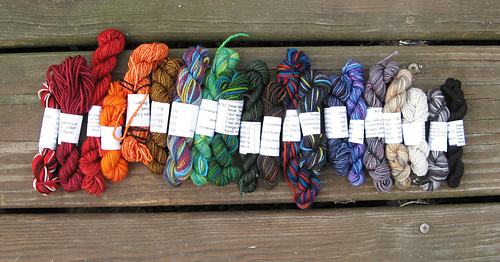 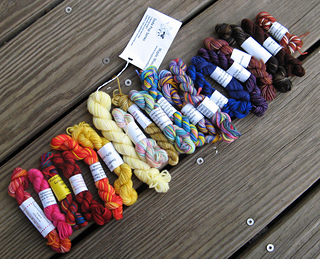 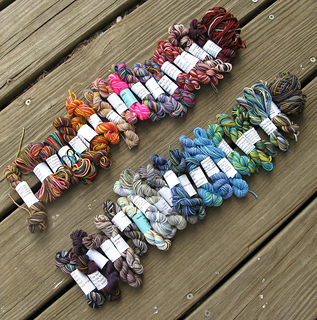 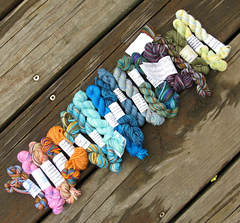 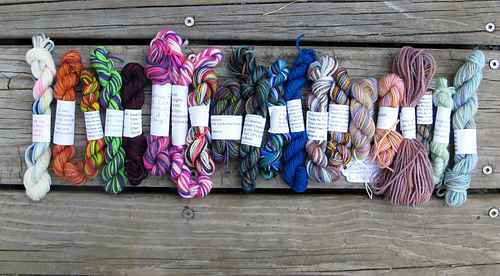 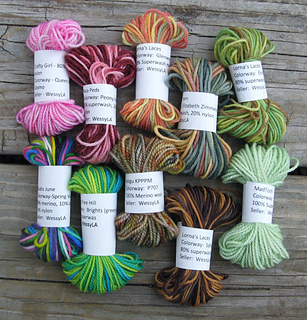 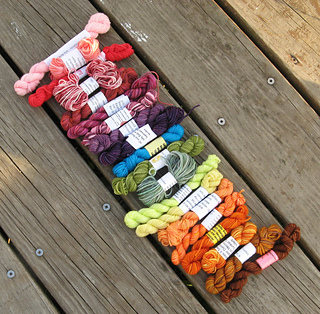 Using Judy’s Magic Cast On and Kitchener to close; increasing by YO on the inc rows, then ktbl (on the right YO) or remount and ktfl (on the left YO) on non-inc rows; doing one extra knit row in the middle to make them less squat.